Increase the output of your 11-14 Mustang 5.0L or V6 fuel pump by up to 85%!! Why replace your fuel pump when you can reliably increase it's output with PowerMAX? Use PowerMAX v2 to quickly and easily increase your stock fuel pumps output! PowerMAX Version 2 upgrades include: New Case, Higher Output & More Features!! 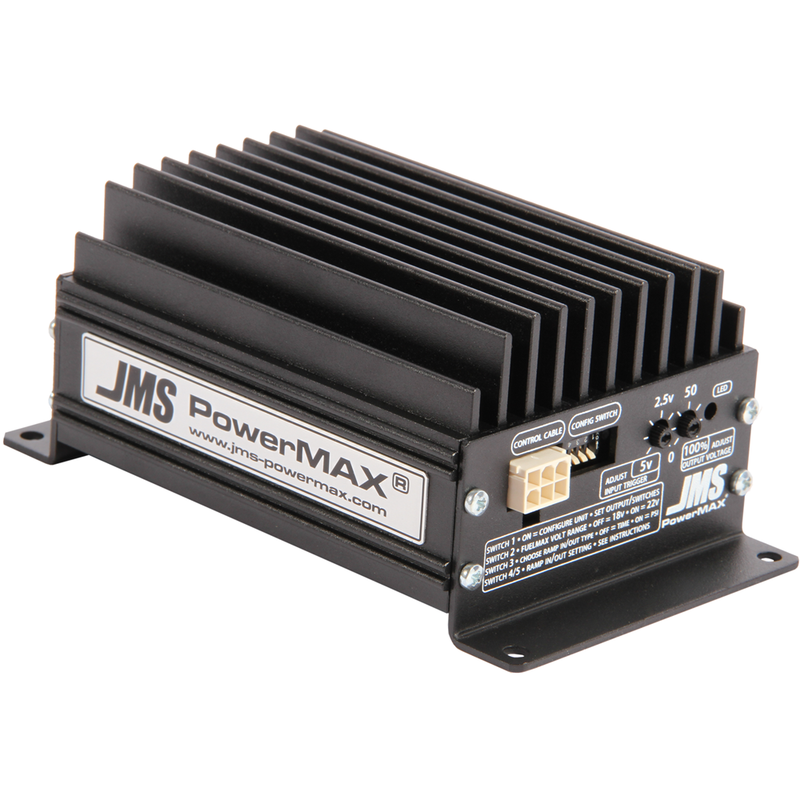 PM-2000 boost & regulates voltage to 14.4v all of the time (Typically used on Ford/Imports). Support up to 1000hp with the stock Mustang pump! 2011 2012 2013 2014 2015 Ford Mustang GT V6 5.0L Coyote S550 S197 Boss 302 Roush Saleen & Steeda Vehicles. No one else can stack up to the bold clean styling of our aftermarket Billet dress ups, Street Strip & Racing Suspension & Performance Parts for your late model American Muscle Car!